the second PAO@Steilene event on the Steilene islands off the coast of Nesodden, took place on July 17th 2016. 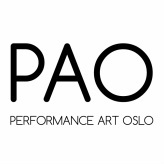 The event featured eight site specific performance art and land art pieces created by a group of international and Norwegian performance artists all based in the Oslo area. Artists: Ellakajsa Nordström (SE), Fernanda Branco and Liv Kristin Holmberg (BR/NO), Janne Jong (NO), Joana Gelazyte (LT), Katarina Skår Henriksen (NO), Kirsty Kross (AU), Nystrøm and Jacobsen (NO) & Studio Toad (USA/NO).